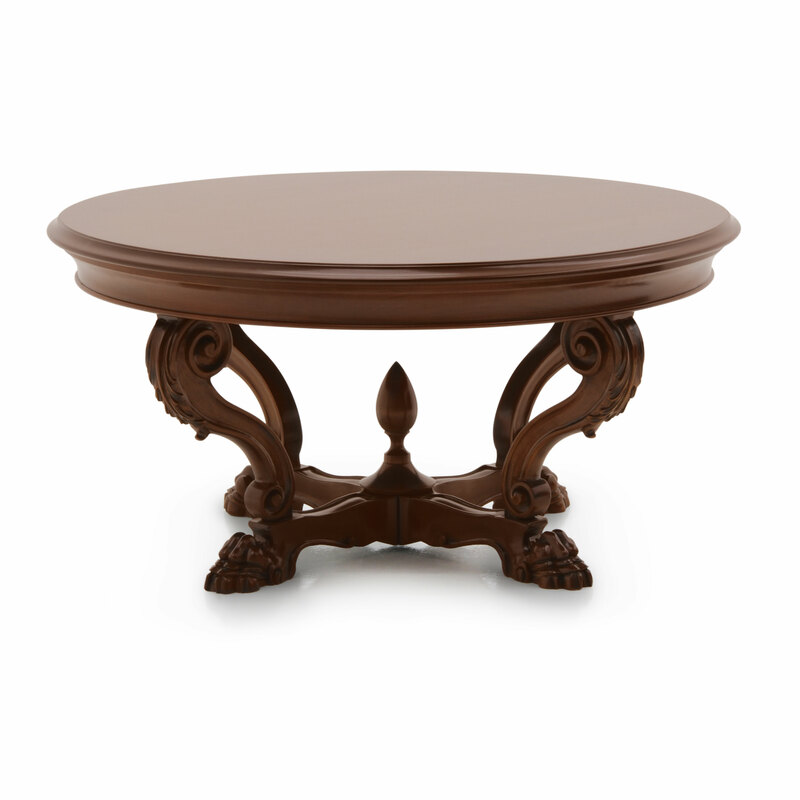 Extremely refined Venetian style round coffee table with captivating wooden structure enriched with carved details. The carvings can be enhanced with a silver or gold leaf lacquer finish. The type of finish can be selected from those available on the Finishes page on our website.